Researchers are genuinely amazed at the Kambalny volcano in Russia erupting for the first time in 250 years. But while this could be described as a scientific marvel, the volcano could also be hiding a threat. Footage of the volcano spewing ash up to a height of 7,000 meters is indeed impressive... and yes, a little bit scary. “It is a pure surprise for us. 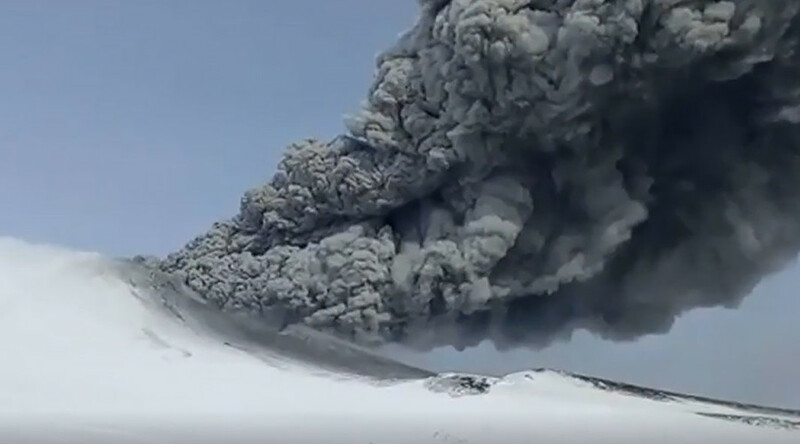 We continue the monitoring and will analyze possible threats as data come in,” Olga Girina, the head of the special Kamchatka Volcanic Eruption Response Team (KVERT), told TASS news agency. The volcano started spewing ash on Friday evening, and the ash could potentially cover the city of Severo-Kurilsk, located on the island of Paramushir. Experts believe that the threat has already passed, though the orange code for aviation danger was assigned. The Kambalny volcano is 2,156 meter high and is located in southern Kamchatka. The last time it erupted was during the reign of the Russian empress Catherine the Great, in 1769.